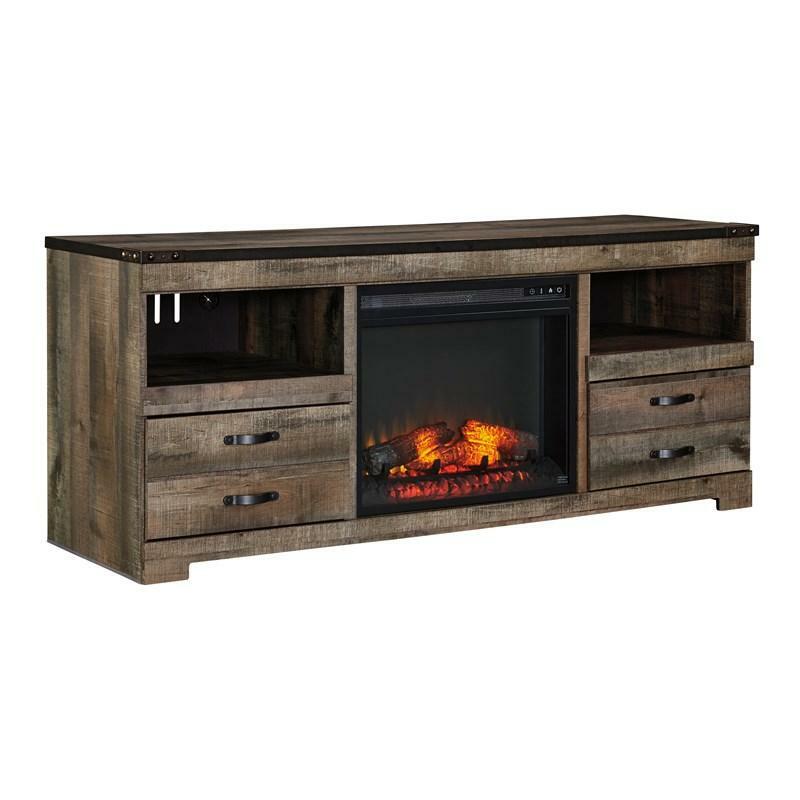 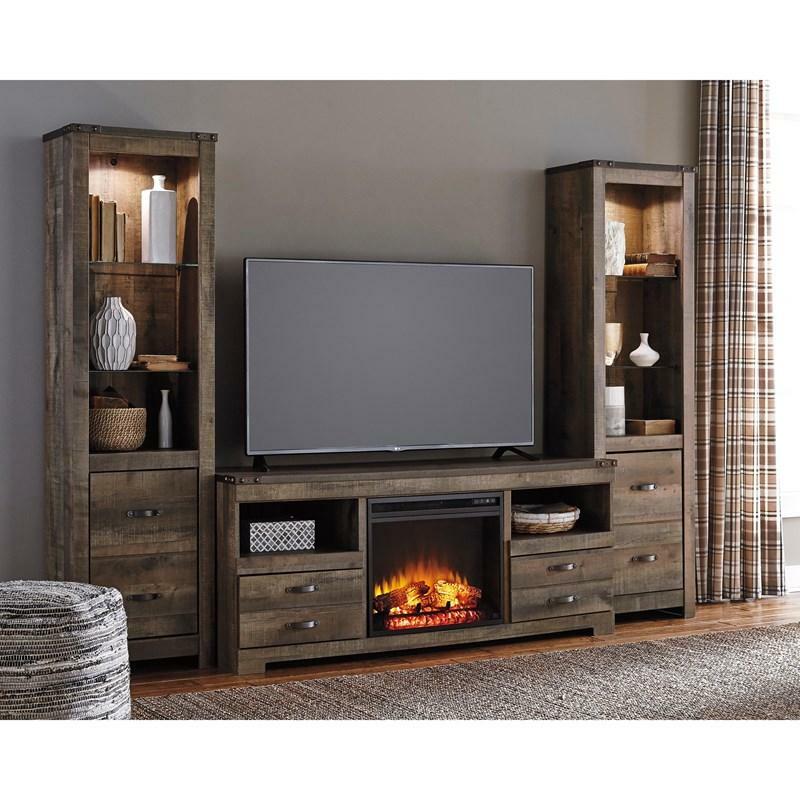 The Signature Design Trinell TV stand with fireplace makes home on the range look so alluring. 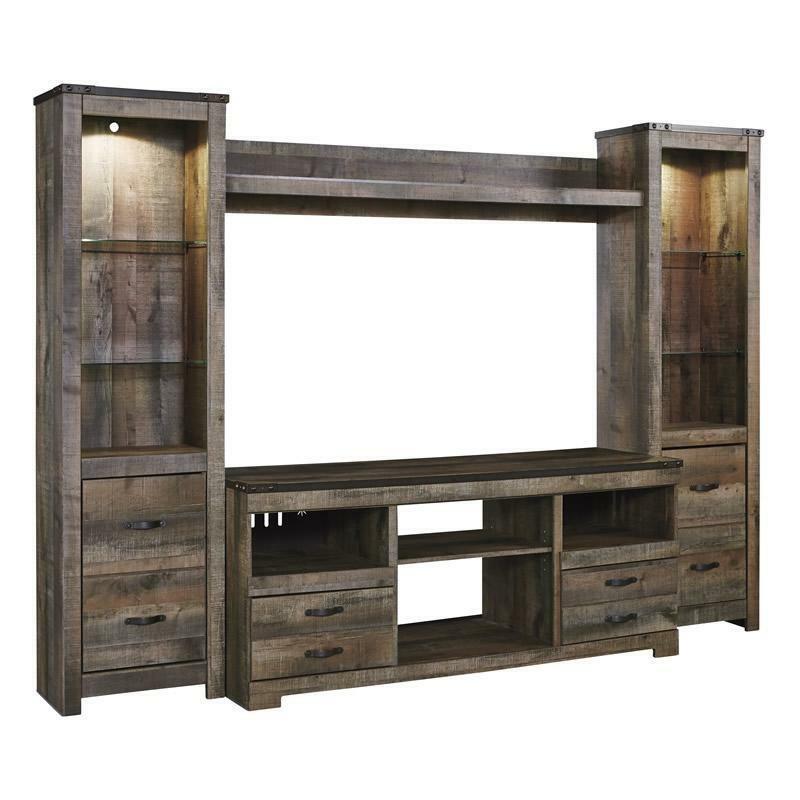 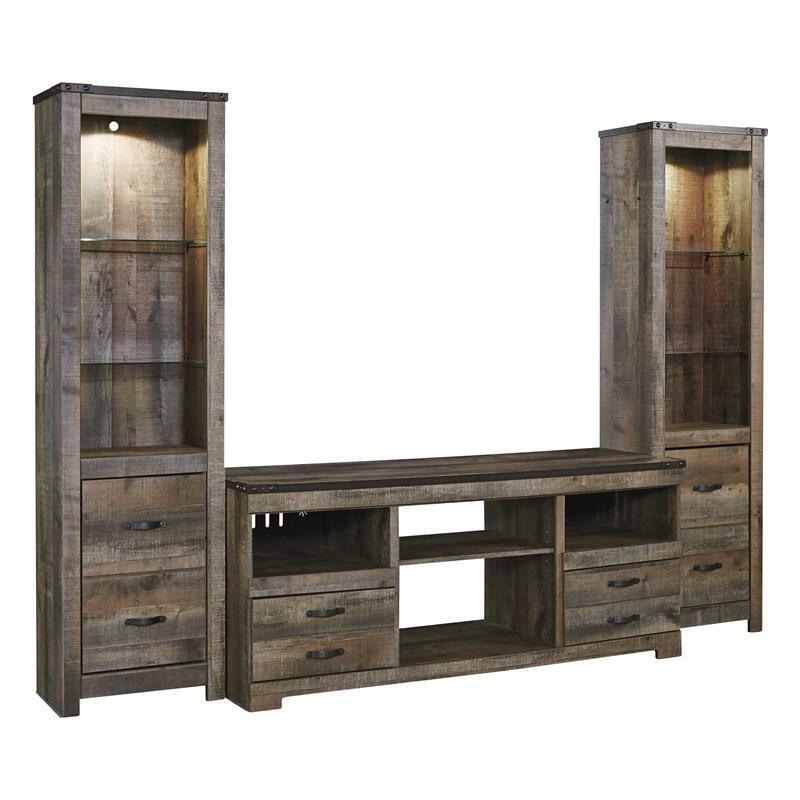 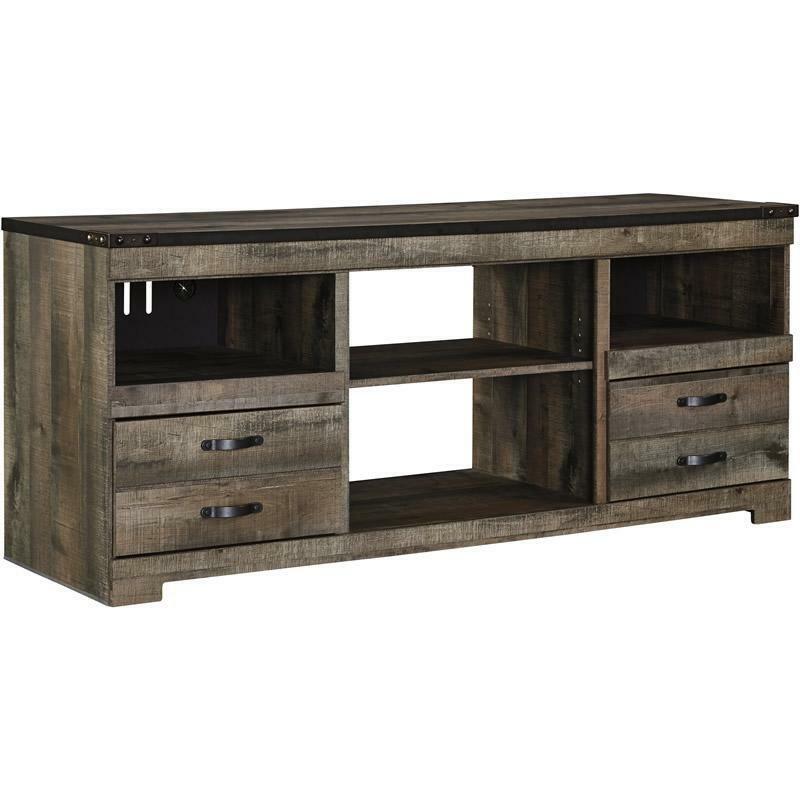 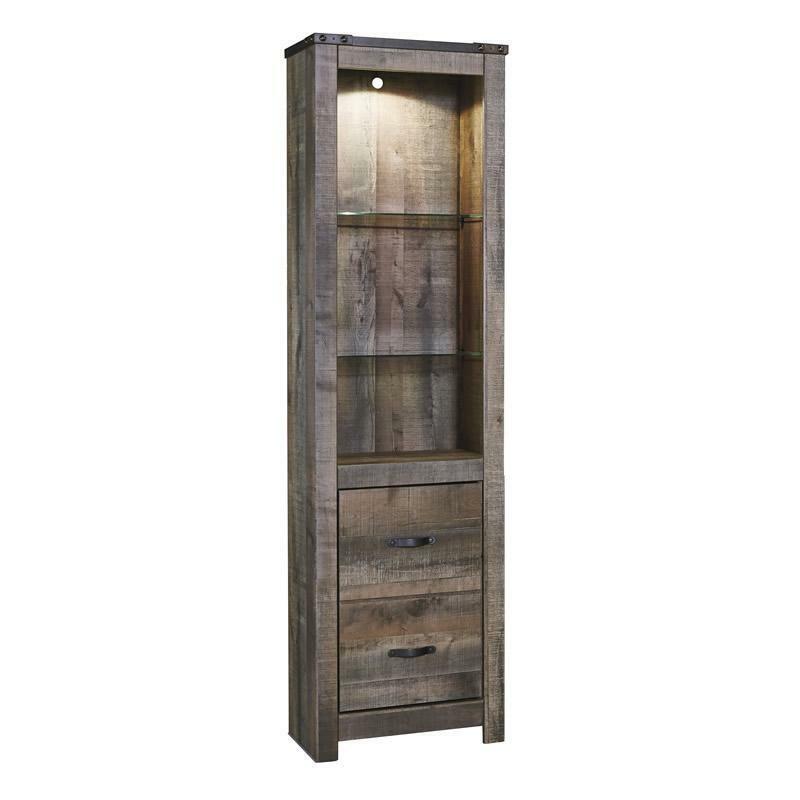 The style is earthy, yet clean and sophisticated, with a rustic finish, plank details and nailhead trim that are an homage to reclaimed barn wood. 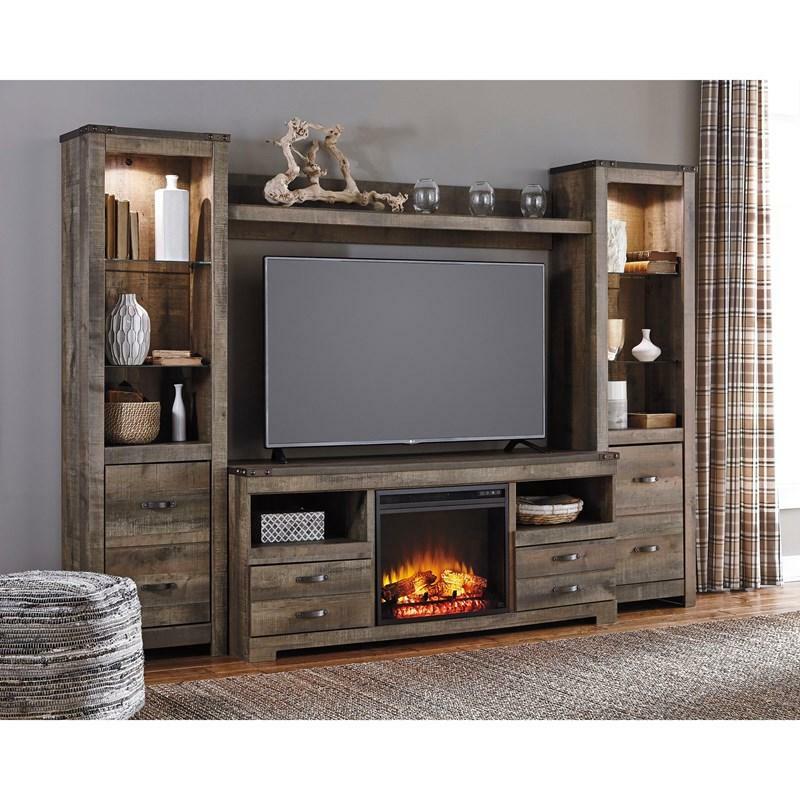 By removing the adjustable center shelf, you can pop in the LED fireplace for instant warmth and romance. 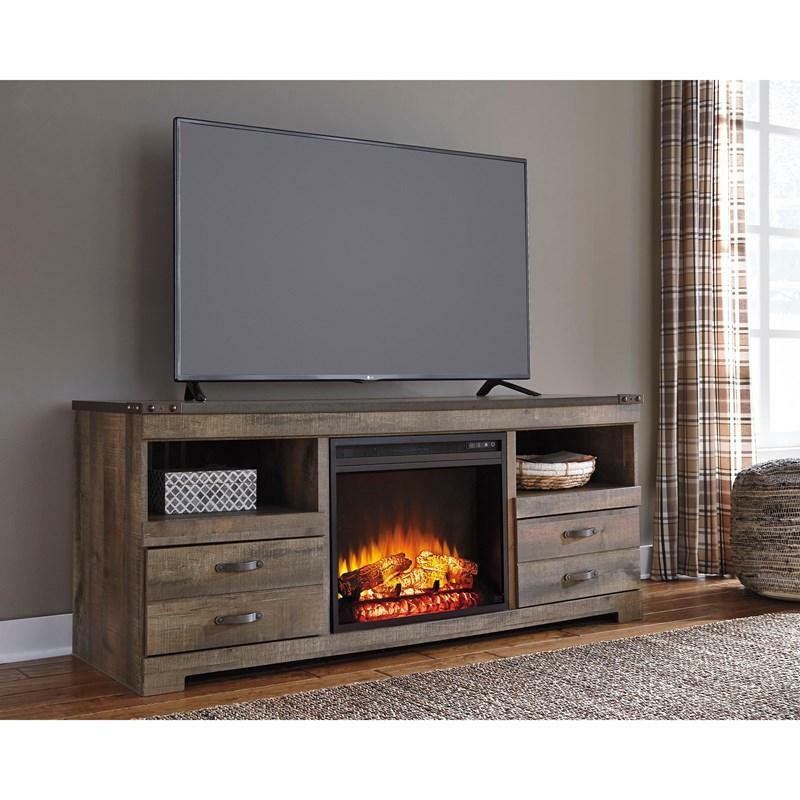 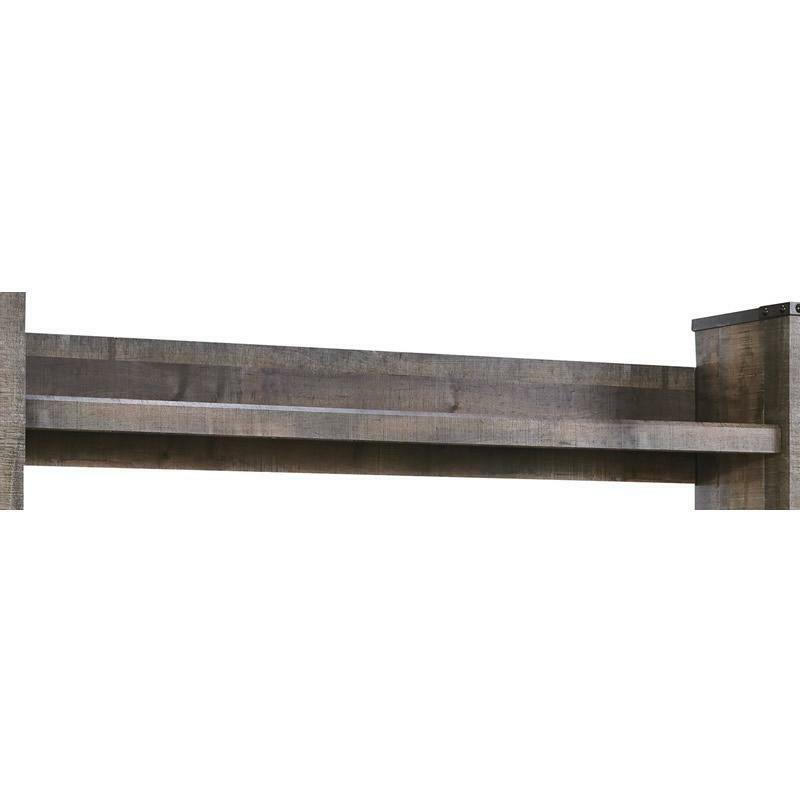 Additional Shelf Information • Fireplace opening 23.00" x 20.00" x 19.75"
• Media opening 63.25" x 20.50" x 33.00"
• Opening (2) 18.00" x 20.00" x 7.50"
• Drawer (2) 16.75" x 14.75" x 6.50"